At the market last week I spotted beautiful, straight-from-the-farm eggs in the most delicate, lovely hues of brown, green and blue. I had no idea eggs could be so beautiful. 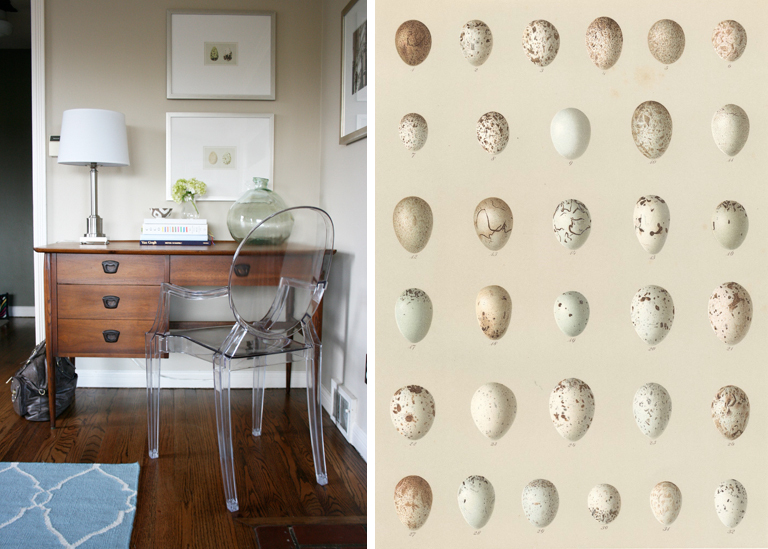 They reminded me of the vintage egg prints I have on my wall--prints that some of you have asked me about over the years, and that are unfortunately no longer available. So, when I discovered this fantastic etsy shop (via Rifle), I knew I had to share my source with you asap. 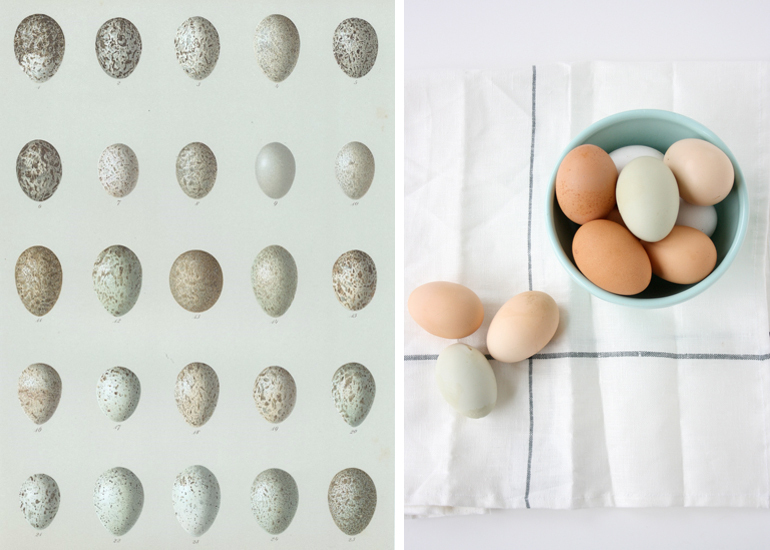 Bananastrudel carries, amongst other things, gorgeous antique egg prints that you will absolutely swoon over. Oh and they are so reasonably priced too, which makes you feel like splurging on framing is actually feasible! (to save money on framing, buy a ready-made frame and then have a custom mat created). I'm not sure how large you could make these, but The Graphics Fairy has several beautiful vintage egg images that are available for free. They would be lovely even in a smaller frame as part of a grouping. Here are two downloads; of course there are links to others at the bottom of the posts.